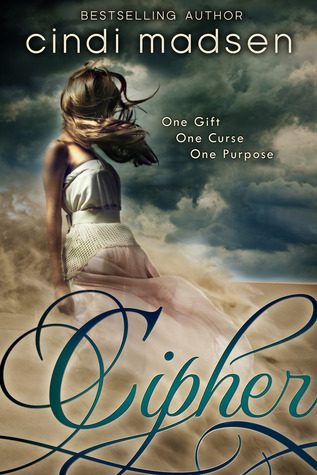 The Book Rat: Giveaway & Quickie Q&A: CIPHER by Cindi Madsen! Q: If you could introduce one of your characters to any character from any OTHER book, who would you introduce and how would it go down? A: Ooh, awesome question. I’d probably say I’d introduce Summer to Liv, from All the Broken Pieces. They both struggled a bit with the high school scene and I think they could understand each other and the weirdness each of them has had in their lives. So I’d say that Summer and Troy would go to see a band and they’d meet Liv and Spencer. They’d talk about the music, realize they all had a lot in common, and things would grow from there. To celebrate the release of Cipher, Cindi is having a giveaway for a $20 iTunes gift card and Paramore bracelet! Enter on the Rafflecopter below. Good luck! This one sounds read intriguing... a unique concept. Might just have to add it to my TBR pile. ^.^ Thanks for the giveaway! Added to my tbr pile! Thanks for the giveaway! I would love to read this book. Story sounds like a keeper. I added it to my book wish list. I like the concept of having folks who are, essentially, counselors for the soon-to-be-departed. And as far as changing Fate, well, any Greek chorus can tell you how that usually turns out...I can't wait to read it! You asked a very interesting question!! It's definitely something I'd be curious to ask a lot of different authors! Thanks for the awesome giveaway. I would love to read this book. Thanks for the giveaway. Thanks for the giveaway. And congrats Cindi Madsen on the new book--it sounds like a great read.